It’s the 20 of March. The party led by Viktor Orban (Fidesz) will be suspended with immediate effect, until further notice, following the vote held during the EPP assembly. 190 votes in favor and 3 against. President Joseph Daul announced it on Twitter. “We were ready to leave the party, if the leftist faction of the group had won and if a compromise had not been found – said Orban -. I don’t think they wanted us out at the end: the majority of the EPP parties did not believe it was in their interest that such a strong party should leave the group “.”During the meeting – added Orban – I had a letter in which it was already written that we would leave. If we had not had this compromise, I would have left the EPP today: I had a text ready. However, a compromise was found. We are one of the strongest parties in the EPP: we won four elections with a large margin. It’s really funny that such a strong party runs the risk of being expelled from the group”. We cannot neglect the will of the people and the popular vote,” concluded Orban. But politicians are like midfielders in the football field: they are always two or three steps ahead “. What will happen after the elections week-end? Does Fidesz will remain in the EPP group? If it will move (but even if not) to another group how this play will affect political groups’ relations in the European Parliament? We are not waiting just for these questions. As you know European elections will be at the end of May. Here a glance over the European landscape. Lega in the running to become the party with most members in Strasbourg. Le Pen towards the overthrow of Macron. Fidesz close to get the 50%. And moreover, Cinquestelle without a European group, with three allies out of four screened towards zero. At the continental level, instead, traditional European parties collapse. When ballot boxes will be closed, the popular of the Ppe and the Socialists and Democrats of the Pse for the first time since 1979, the debut of the European Parliament direct election, together they will not have the majority to govern. They will have to ally themselves with the liberals. But in the polls the sovereign of Matteo Salvini, with its allies, could come to form the second group of the Assembly by surpassing the socialists. This is what emerges from the first survey published on the 18th of February by the European Parliament in view of the vote of May 26. A crucial vote for the future of the Union and liberal democracy in Europe, so much so that several observers define this European round as the most important ever. On a continental level, according to the February polls, the European People’s Party (EPP) will confirm itself as the first group in Strasbourg, even if it’s a downsizing compared to 2014.Same destiny for the Socialists and Democrats: those elected from 186 five years ago will change to 135. At the moment the only scheme that would give enough seats to do so involves the alliance of the two-great twentieth-century parties to the liberals: the Alde led by Verhofstadt will rise from 68 to 75 elected representatives, to whom the Macron winds will have to be added to complete the liberal family. Currently, this is the only possible majority, possibly extended to the Greens (45 seats) to give life to an unprecedented Europeanist united front to be contrasted in the classroom with the sovereigns of Salvini, Le Pen and Kaczynski. 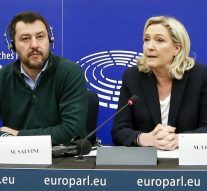 The Enf – the current political family of Salvini e Le Pen – will go from 37 to 59 representatives. Ecr – that with Brexit and the farewell of the Conservatories of Theresa May will pass into the hands of Kaczinsy – will bring 51 MPs instead. If they are allied, a project to which Lega and Pis’s Polish are at work, they will reach 110 members, adding the 12 of Alternative für Deutschland and a handful of single parliamentarians elected in the allies of Eastern Europe will be added. They aim at least 130 representatives, undermining the PSE as the second group in Strasbourg and trying the EPP to a center-right/right alliance where the popular Orbàn and Kurz would work as Trojan horses to build the Coalition that at the moment would not have the numbers for the majority, but could be achieved by shopping in other groups: for example, the elected officials of the Czech premier Babis are in the Alde, although politically more akin to the sovereign. However, polls are not always precise, but this time they could be very accurate and give us a scenario where unpredictable consequences are the only predictable consequences.